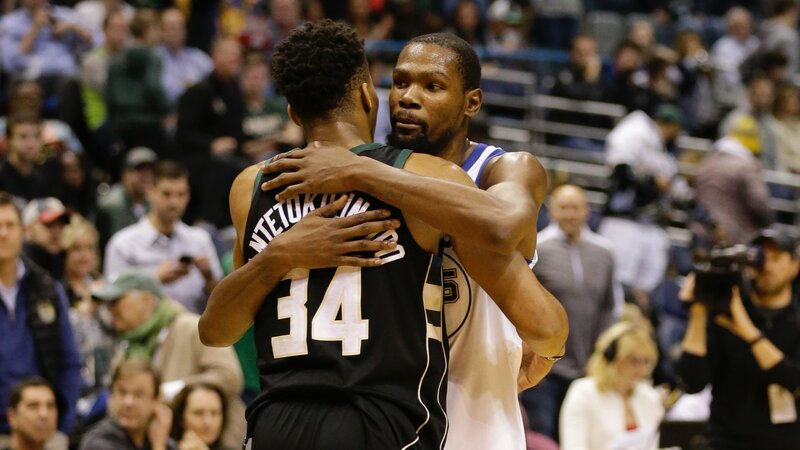 With Steph Curry out due to a sprained ankle, it was a back and forth battle between superstar forwards Kevin Durant and Giannis Antetokounmpo on Friday night. It was a close game throughout, but the Golden State Warriors were able to pull away in the end, defeating the Milwaukee Bucks 108-94. Durant had a strong performance, scoring 26 points along with six rebounds and six assists. Earlier in the season, Kevin Durant praised Antetokounmpo and his potential. Giannis had 23 points, with Eric Bledsoe contributing 21 and Malcolm Brogdon adding 17. The Bucks shot 42% in the game overall, a number that simply is not good enough. Going forward, they will have to find a way to take advantage of open opportunities in order to make an impact in the Eastern Conference. The Bucks will now travel to Miami to take on the Heat on Sunday. Tipoff is at noon CT.